Sydney Shop Girl: The Weeknight Book Club: The King and Mrs Simpson by Erin Frances Schulz. Which Somehow Relates to the Oscars. 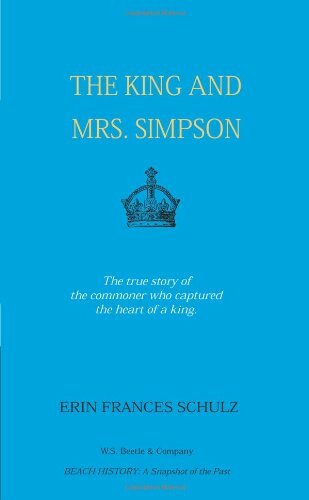 The Weeknight Book Club: The King and Mrs Simpson by Erin Frances Schulz. Which Somehow Relates to the Oscars. It is a happy coincidence that my Oscar week book review ties in with the winner of Best Film (The King's Speech) and Best Actor (Colin Firth) for 2011. I might just get my Oscars 2011 thoughts out of the way first. I'll be straight. I've taped the ceremony, the red carpet and the after party but have yet to watch any of it. I had award by award updates through the live blog written by one of the SMH journalists and got my gown fix by looking at the coverage online. I did hear that Anne Hathaway gamely made the most of what she was given with regard to her script as co-host and her partner in crime, James Franco was not so professional. Was anyone else underwhelmed by the dresses this year? There wasn't much of the wow factor for me. When in doubt though, the leading ladies with whom I've grown old(er) with can be relied upon to come up with the goods. And Anne Hathaway in Valentino and with Mr V himself. My favourites, though were the men of the night. Colin Firth. Sigh. Both his turn of phrase and his presence. Colin Firth (in Tom Ford) and his wife Livia. Image courtesy of JustJared.com. Now for my book review. The King and Mrs Simpson is a 'snap shot' (to quote the author) of a period of England's history which saw its favourite son abdicate from the throne for the love of an exotic and sophisticated American divorcee. It's not really a biography of either person in the title but for someone like me who is rather ignorant of world history, it was easy to follow. It's not very probing or analytical though. 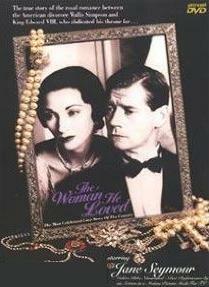 Kind of like those telemovie from the 80s when Jane Seymour and Joan Collins were at their finest. Didn't Jane Seymour play Wallis in the TV version of this book?